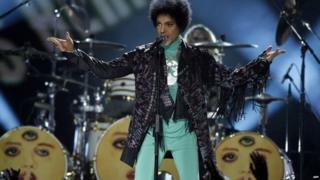 White House officials will not say whether pop star Prince performed at a weekend party at the executive residence despite guests posting about it on social media. Spokesman Josh Earnest confirmed a private party was held on Saturday but said little else. The guest list of 500 was said to include lobbyists, CEOs and celebrities. The Rev Al Sharpton tweeted about a performance by Prince and Steve Wonder. The civil rights activist and TV host wrote it was "awesome" to see them both on the keyboards. Mr Earnest did say the Obamas' paid for the party on "their own dime", but would not say how much the party cost. The New York Post reported that film director Tyler Perry, actresses Angela Bassett and fashion designer Naeem Khan were among the celebrity guests.